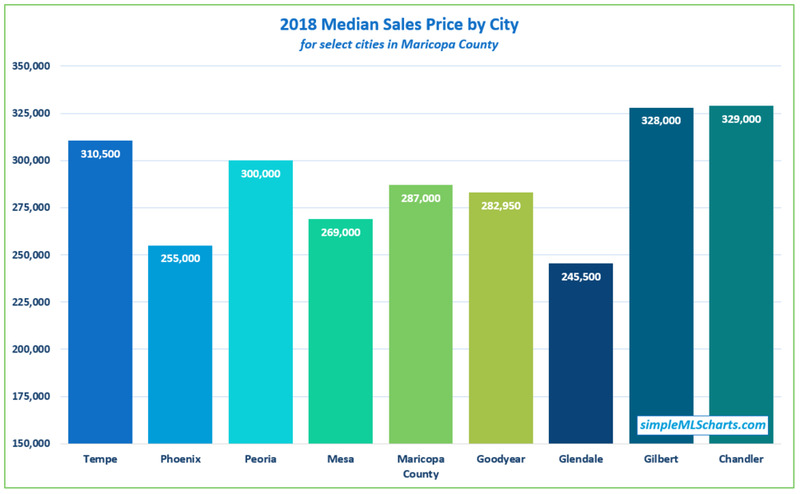 2 major factors can affect the number of luxury sales: 1) The number of high net worth people wanting to buy homes in Maricopa County, and 2) The pricing movement of the existing homes for sale. If homes are trending from $975,000 towards $1,025,000, then we’ll have more luxury sales. The reverse is also true. We’ll check back on the luxury market in a couple months to see if this trend continues. 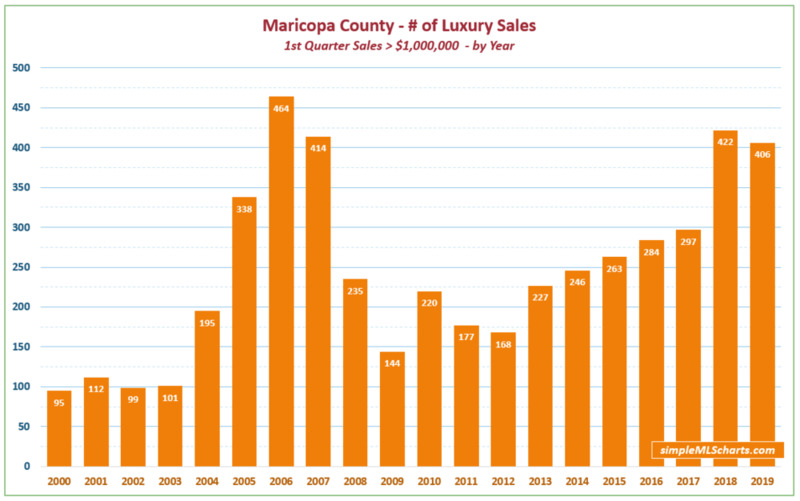 Because we’re looking at more sales (county vs city, and quarter vs month), there is less volatility in the chart. We can see the line trending upward gently, year after year. Q4 ‘16 is the only quarter which is lower than the preceding quarter, and it was only down by $114. We are getting very close to $300,000 being the median sales price for the county. 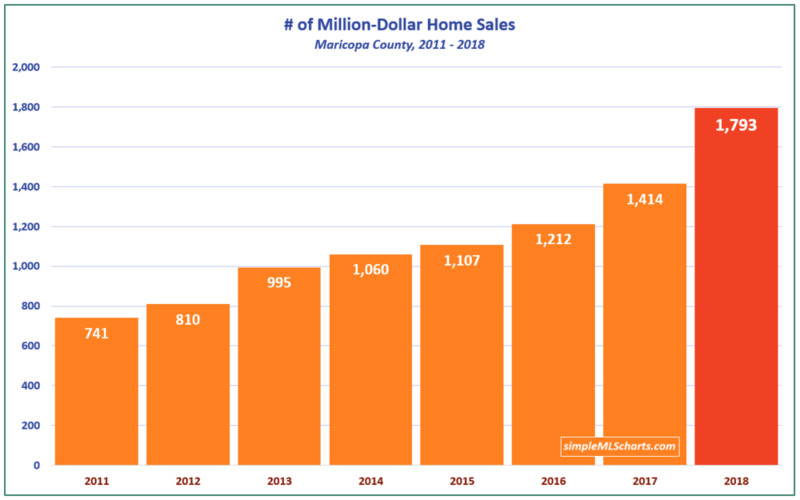 This is exciting if you already own a home and a little scary if you don’t, because wages have not increased nearly this much over the last 3-4 years, which means homes in Maricopa County are getting less affordable. 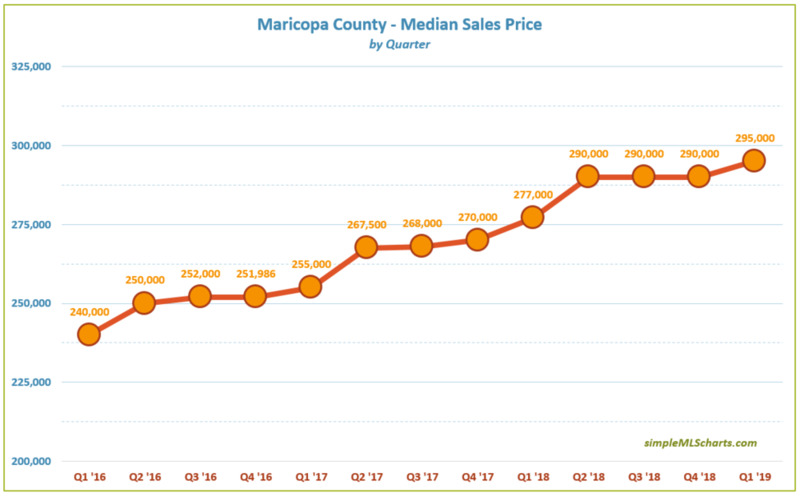 The Median Sales Price in Maricopa County was $290,000 in January, up 6% YoY from last January’s median price of $273,900. That 6% growth for the year is actually on the low end of the 4-year trend, as prices have risen almost 33% since January 2015.